As we've said many times here on My College Timeline, we're not big believers in the whole "college rankings thing". We think it's an example of the commercialization of the college prep world, and that it can cause students to chase a "famous" college rather than one that may be the best fit for them personally. That being said, college rankings are a reality for students these days, and there's no doubt that the leader in college rankings is U.S. News and World Report. 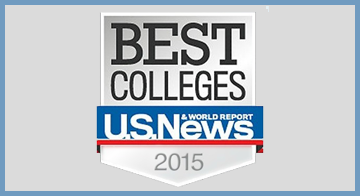 And they have just published their top colleges for 2015. There aren't too many surprises here. UC Berkely has been named the top public university for the 17th year running...with second place going to it's cousin school to the south, UCLA. For private colleges, Princeton is once again on top. And in terms of liberal arts colleges, Williams is number one. Like we always say, take these rankings with a grain of salt. But if you'd like to see all the rankings, you can check them out on U.S. News and World Report.